A global partnership agreement has recently been signed so The Career Academy students can now automatically gain professional membership with the Association of Accounting Technicians (AAT). AAT is a professional body for accountants and bookkeepers with over 140,000 members worldwide, and gaining the professional AAT Bookkeeper status (AATQB) with The Career Academy gives you the opportunity to provide qualified bookkeeping services to support businesses of all sizes. We are an Accredited Training Provider by the International Association of Bookkeepers! The International Association of Bookkeepers has approved The Career Academy is an Accredited Training Centre. We are an Accredited Training Provider by the International Association of Accounting Professionals! The International Association of Accounting Professionals has approved The Career Academy as an Accredited Training Centre. Independently recognised as an expert training provider! The Career Academy has a professional team of expert course developers and highly experienced tutors. As an education team, we expect to deliver comprehensive courses. We are an Approved Training Organisation. 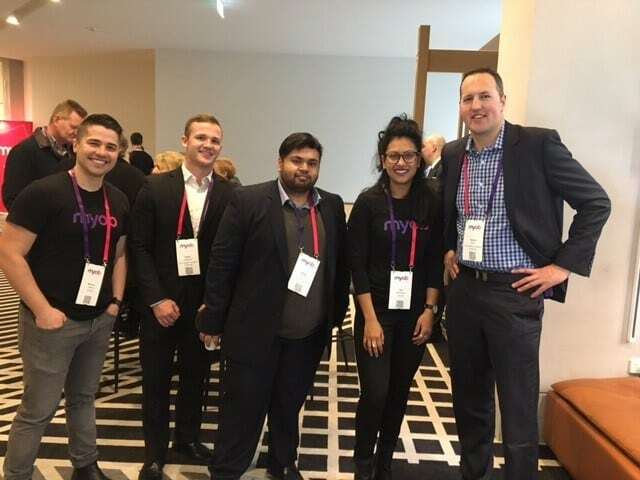 We are affiliated with several educational organisations and have partnerships with private companies like Xero, MYOB and Reckon to deliver their software training to the highest standard. Our Certificate in Bookkeeping has been reviewed by NZ Bookkeeping Association. The Career Academy is a Xero Partner! As an online education provider, The Career Academy offers employer recognised courses that help students succeed in their career or business. 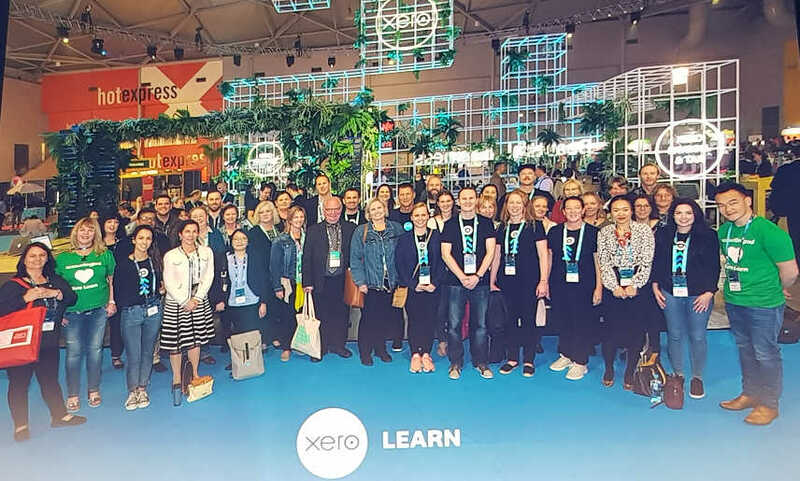 Xero’s role is to support and inspire business vitality and success – and together The Career Academy and Xero are wanting to further support you, and we welcome you to the Xero community once you graduate to continue your journey of success in your business or career. 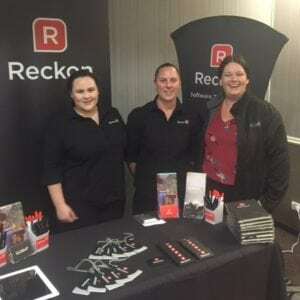 The Career Academy has worked with Reckon to supply a series of approved courses. Reckon recognise us as one of their approved training organisations. The Association of Administrative Professionals New Zealand (AAPNZ) has a Strategic Partnership with The Career Academy. AAPNZ supports and endorses The Career Academy Certificates and Diplomas. AAPNZ also recognise The Career Academy qualifications as meeting the Continuing Professional Development criteria required to attain AAPNZ Certification. 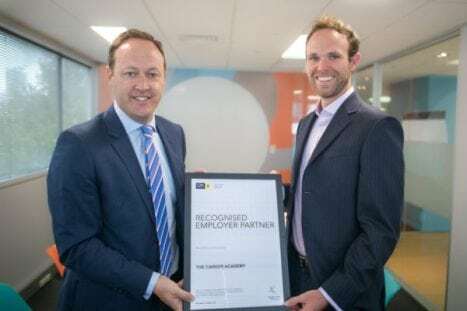 The Career Academy has been accredited by CPA Australia (CPA) as a Recognised Employer Partner! CPA have recognized that our organization has demonstrated a strong commitment to providing high quality learning development programs and support to our employees and students. Thank you CPA – we are proud to play our part in helping to improve the knowledge and professionalism of the accounting industry. Pictured is Tony Adams, Tutor Manager at The Career Academy accepting the award from Rick Jones, Country Head, NZ, CPA Australia. The Bookkeepers Hub is a comprehensive and authoritative resource for all things bookkeepers for vendors, business owners and bookkeepers. Supported by an editorial advisory board the hub provides resources and courses and support for bookkeepers from all sectors. All of our Bookkeeping courses are supported by the Bookkeepers Hub. The Career Academy has been approved as an Education Institute Member. Students get a FREE 12-month membership to the International Association for Counselling on completion of our Psychology & Counselling courses. The Career Academy has been partnered with the Photography Institute & The Interior Design Institute for many years providing the highest quality creative diploma courses available online. Our courses are supported by Wiley! The Career Academy is a member of The CPD Certificate Service. This provides recognised independent CPD accreditation compatible with global CPD principles. 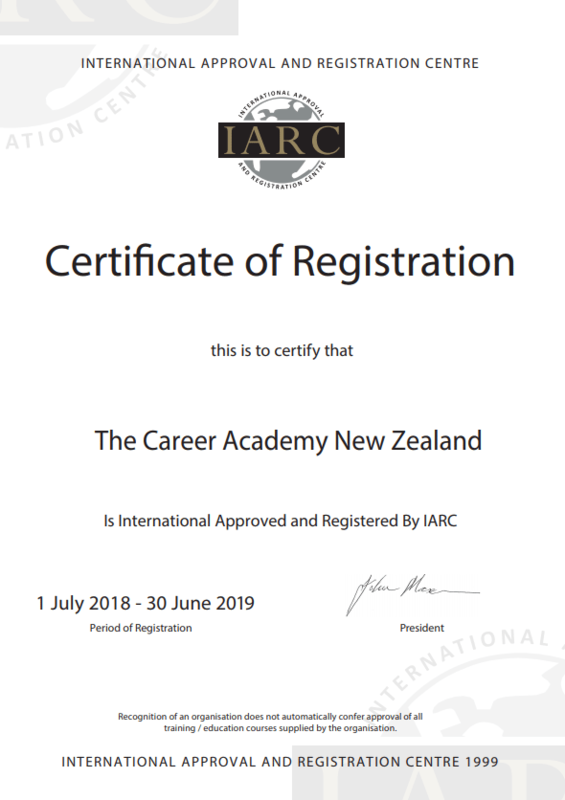 The Institute of Certified New Zealand Bookkeepers is a long time strategic partner of The Career Academy. They have accredited our Certificate in Bookkeeping. 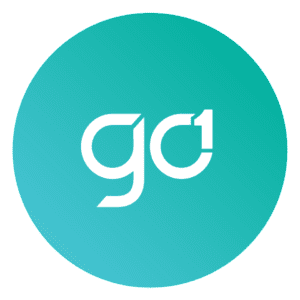 Workplace training marketplace GO1 has partnered with The Career Academy! The Career Academy are able to offer official RQF accredited Sage Qualifications! Leading Accounting software provider Sage has today announced a massive new partnership with The Career Academy, aimed at equipping students with hands-on experience using its flagship cloud accounting software, in partnership with Professional and Awarding bodies such as CIMA, AAT, etc. The move comes off the back of rising demand from the accounting and bookkeeping industry for graduate talent with practical know-how across multiple accounting software platforms. The Career Academy already offer Xero, MYOB, QuickBooks and Reckon courses. Adding Sage qualifications is the final piece of the puzzle so students can now gain skills in using every major accounting software program available. Tim O’Reilly, Qualifications Manager at SAGE said “Sage are very happy to work in partnership with The Career Academy and help their students gain industry accredited qualifications”. As part of the partnership, thousands of students from The Career Academy will gain access to accredited Sage qualifications. In addition to learning how to use the software efficiently, they will also gain applied knowledge needed to interpret financial data and consequently, make strategic business decisions. The Career Academy wins Best of the Best at Business Awards! So excited to win the Best of the Best Award for Excellence in Strategy and Planning at the prestigious Business Awards in March 2018. Thank you so much to all our industry partners for your amazing support and for everything that you do to help our 20,000+ students achieve their goals and dreams. All students deserve the best courses! While developing online courses, The Career Academy team assesses the needs of the students, industry standards and the most relevant knowledge required to train and up skill for a role. Once a course is designed, our Moodle expert creates an interactive course to stimulate learning. Many of our courses are industry recognised, gaining the approval and accreditation of a leading organisations and education providers. Every course is peer reviewed to the highest standard and audited by experts from each industry. To our delight, many partnerships have been formed with leading organisations and we have been asked to develop specific online material as a benchmark courses for various industries. Looking for a new job or promotion? We are delighted to announce that HAYS Recruitment has partnered with The Career Academy to help you gain a new job or promotion. If you are studying accounting, HAYS can help you gain a new job in a CA Firm or Corporate environment. HAYS are offering The Career Academy students a FREE 60 minute, confidential consultation. Gain a FREE 12 month subscription to The Auckland Chamber of Commerce! The Career Academy is a MYOB Approved Education Partner! The Career Academy is recognised by the International Accreditation & Recognition Council. Kamila Kwiatkowski, Permanent Consultant, Hoban Recruitment. The Career Academy and Grow Training Group are in a strategic partnership, The Career Academy is a re-seller for the nationally recognised Grow Training courses. These courses are not delivered by The Career Academy and are supplied and delivered by GROW Training Group Pty Ltd RTO #45109. “NZBAI and The Career Academy have a successful strategic partnership and work closely together to develop the bookkeeping profession. NZBAI supports The Career Academy because they offer quality, interactive online courses to help students gain employment or set up their own business. Their courses are nationally recognised by employers and businesses throughout New Zealand. NZBAI looks forward to welcoming you as a new member once you graduate and continuing to help you on your pathway to success” Di Crawford-Errington, NZBAI President. The Accountants and Tax Agents Institute of New Zealand (ATAINZ) exists to promote the welfare and professional development of its members and to represent members’ interests in New Zealand. We are an ATAINZ Approved Training Provider and students who complete our Taxation Toolkit for Accountants get a FREE 12-month membership on completion. Free membership to the ILEA! The International Live Events Association has endorsed The Career Academy as an Approved Education Partner. They have accredited our Certificate in Event Management (link) and students receive a 12-month membership to the International Live Events Association on completion of this course. 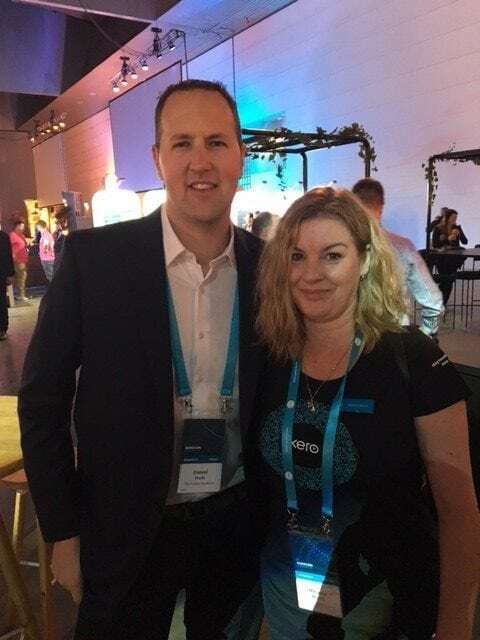 The Career Academy team work very closely with Xero and are involved in the roll out of Xero Learn Lifelong Learning Program.